So I have good news and bad news… the bad news is that my original report of Super Doubles on 1/8 was wrong. The good news, Super Doubles starts this Wednesday 1/1!! Needless to say it’s been a crazy day trying to catch up and get this list ready. 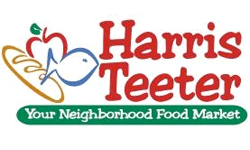 Super Doubles means that Harris Teeter will double any coupon that is $2 or less in value. The double up to 20 coupons per day per card. If you come in with more than that they are taken at face value. This is the first of three lists. Make sure to check all the lists before shopping. Remember you can save them all to the same shopping list if you are logged in! 1. This list of regular priced items with high value coupons. 2. The Harris Teeter Ad with extra deals tagged to run through 1/7. 3. Unadvertised Deals (will post Tuesday afternoon around 5pm).